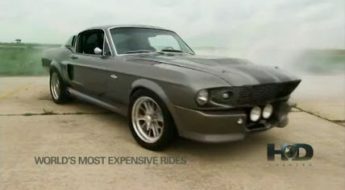 A few years ago TLC’s Rides ran an episode of ‘The Making of Eleanor‘. They followed the guys at Unique Performance and how the took a shell and turned it into the car we all know and love. In order from left to right. Click on the thumbnails to be redirected. 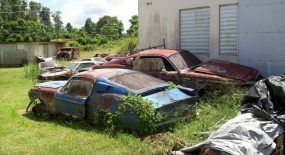 Looks like Unique Performance, the Texas company producing a host of classic and modern musclecars with Carroll Shelby and Chip Foose badges, is in trouble. When we wrote about the company a year ago (AW 11/20/2006), things looked golden for Unique. 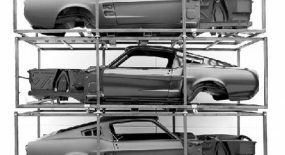 There was a mini assembly line at company headquarters cranking out a number of classic musclecars at what looked like a good clip. We drove many of the cars and enjoyed them all. But since then things have gone south. 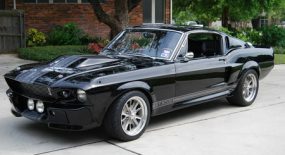 Today (Oct. 5) Shelby’s licensing branch announced it has taken steps to sever the relationship with Unique Performance after numerous complaints and several lawsuits filed by customers who had paid money for “Continuation” Shelby GT-350SRs and GT-500Es (Eleanors )but not received cars. 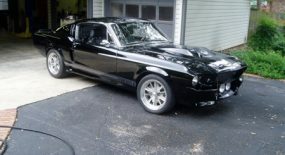 Those cars are refurbished original models brought up to more modern standards of safety and performance. Prices range from $100,000 to $200,000. But Shelby customers weren’t the only ones. 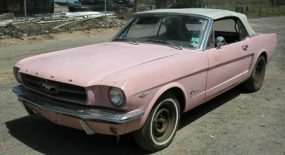 Unique Performance also produced refurbished 1969 Camaros and 1970 Challengers designed by Chip Foose and sold under the Foose name. 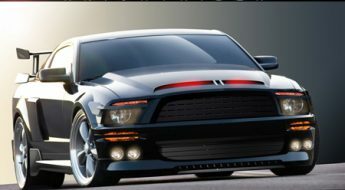 Unique Performance also produced the Foose Stallion, a Chip Foose-designed tuner car based on the 2007 Ford Mustang, through a network of Ford dealers across the country. The Foose Stallions were manufactured at another Texas company called Unique Performance Concepts, a partnership between Unique Performance and a Fort Worth company called Tecstar. It’s possible that Tecstar could continue to make Foose Stallions without Unique Performance. The Foose Hemisfear will continue production uninterrupted, since it is manufactured by MetalCrafters in Southern California. AutoWeek was unable to reach Unique Performance’s ceo Doug Hasty. Is this your story? or taken from somewhere else? I’m about to write a post about this whole situation and would liek to use some of this. If you take notice to the dates of this article you will realize it was posted way before Unique got into trouble. Thanks for stopping by though. It’s always good hearing other people’s opinions.